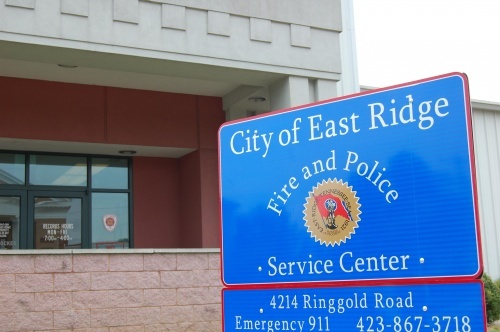 On Wednesday evening, East Ridge police were called to the Speedway at 4222 Ringgold Road in regard to a robbery. According to a department “pass along” report, an officer spoke with a man who said that Jeremy Gosnell had robbed him of his wallet and cell phone. The officer determined that the incident had happened earlier in the morning at the Mapco on Lakeview Drive in Catoosa County. The victim told police that he was robbed by Gosnell and another man at that location. The victim, the report states, walked to the Speedway in East Ridge and saw one of the robbery suspects in the parking lot. That suspect turned out to be Gosnell. The report states that ERPD requested Catoosa County Sheriff’s Deputy to respond to the Speedway to investigate the incident. Gosnell, 25, of a Windy Meadow Drive address in Lafayette, Ga., had an active warrant for his arrest in Catoosa County. Gosnell was taken to the Hamilton County Jail and booked as a fugitive from Catoosa County. _ 4222 Ringgold Rd. : On Wednesday police were called to the Speedway on a reported theft. According to a police report, a store employee told an officer that two black females entered the store and began stuffing candy, cokes, milk, chips and various other items into two large bags. The value of the items was estimated at $100. The two women, the employee said, left the parking lot in a newer black, four-door Jeep Wrangler. The report states that video surveillance will be gathered by store management and provided to the ERPD in an effort to identify the culprits. _ 6514 Ringgold Rd. : Police responded to the Mapco at this address on Wednesday in regard to suspicious activity. According to a report an officer spoke with an employee who said a black male was in the store attempting to sell pills to employees and customers. Police made contact with the alleged pill pusher who denied he was engaged in such activity. The man told the officer that another party had been on the scene trying to sell pills. The report states that the man allowed police to search his person and no narcotics were located. Per the management, the man was trespassed from the store. _ 3725 Fountain Ave.: On Tuesday, an Ooltewah woman was arrested and charged with Assault/Elder Abuse, after police were called to the apartment complex On January 31 in regard to an assault. According to an affidavit of complaint, police spoke with an elderly man who said his roommate, Deborah Mills, got upset for some reason while she was in her bedroom. According to the elderly man, Mills walked into the living room and began hitting him on the back while he was watching television. The man also said that Mills also threw a bowl of oatmeal on him. The report states that the officer checked the victim’s back and noticed a slight redness in the middle of his back. Mills left the apartment when the elderly man called police for help. The elderly victim told police that Mills pays no rent and has a drug problem. According to Right2Know, Mills has a criminal history of drug charges.